Nick Jonas already met Sasha and Malia Obama on the first night they were in the White House – but on Tuesday the pop star got to meet their dad, too. But the singer’s Washington, D.C., trip is not all glitz and glamour. The 16-year-old, who played at the Kids’ Inaugural Ball after the November election, is taking a detour from his Jonas Brothers tour to testify Wednesday at a Senate Homeland Security and Government Affairs Committee hearing on government funding for diabetes research, as are Sugar Ray Leonard and Mary Tyler Moore. “It’s amazing [to meet them]. They’re, like, household names,” says Jonas, who was diagnosed with diabetes at age 13 and who works with the Juvenile Diabetes Research Foundation. Still, even a household name like Nick Jonas had to show the Secret Service his passport before being admitted onto the White House grounds. Nick’s appearance Wednesday was a surprise to the diabetic children meeting the President. And many kids seemed more excited to meet him than Obama. Leaving the White House, kids screamed, “Nick Jonas! 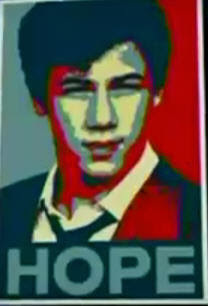 Nick Jonas! We got to meet Nick Jonas!! !” and showed off autographs. “That’s cool,” says Jonas, who shook everybody’s hand and briefly met the president. On Tuesday afternoon, Jonas plans to tour Capitol Hill and meet with House Speaker Nancy Pelosi before testifying before the Senate Wednesday.